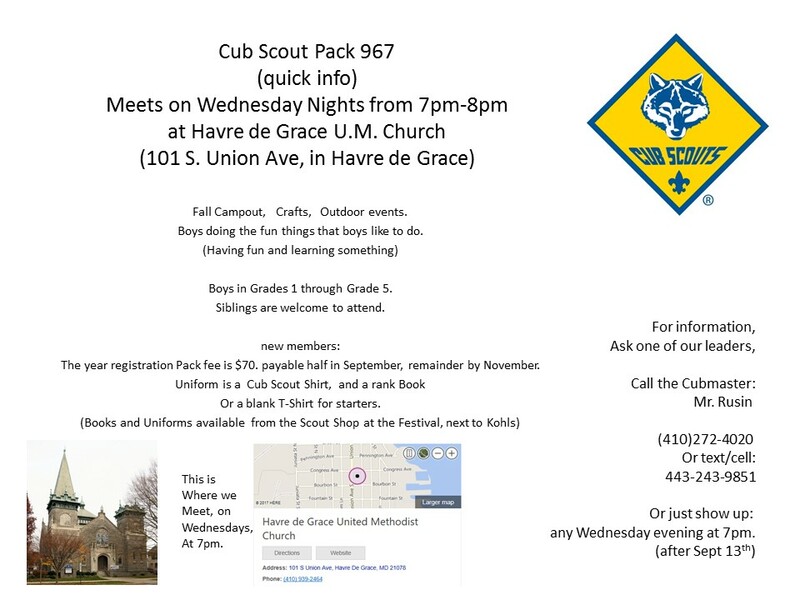 Cub Scouts Pack 967 meets on Wednesday nights during the School Year. Cub Scouting is for boys in Elementary School - grades 1 through Grade 5. In this photo, the Cubs are enduring the rain, but still having fun. This was taken at the Cub Scout Day Camp during the Summer of 2018. Feel free to join our pack! No matter what the weather does we have fun!